When did a terabyte of storage become passé? Probably when this became the second terabyte drive we reviewed. 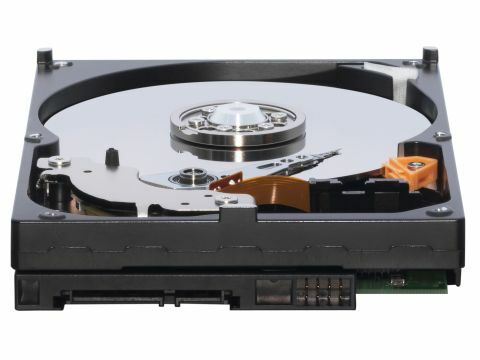 That does give us an advantage, as we have a drive to compare to this one - the Hitachi Deskstar 1TB. Western Digital always seems to stay in the middle ground - perfectly adequate yet not awe-inspiring. But perhaps the company is playing to its weakness with this one, swapping raw drive speed for energy efficiency. All the benchmarks show that the WD Caviar GP lags behind the Hitachi. An HD Tach read and write speed of 66MB/s is behind the Hitachi by 8MB/s on read and 38MB/s on write. It also trails on seek times and all the PC Mark tests. The one bright point is the very high burst speed, but that's just an indication of the interface bandwidth, rather than raw physical speed. This is more expensive than the Hitachi, but for companies and enterprise users the energy savings will outweigh performance. It depends where your priorities lie.